A Philadelphia native, James began his musical training in church and attended the Philadelphia High School for Creative and Performing Arts, which produced other notable acts Bilal, Boyz II Men and The Roots. 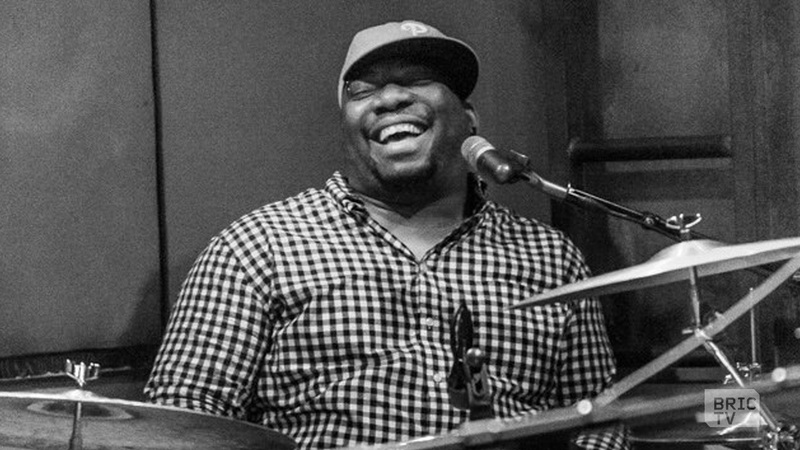 Studying both vocal performance and instrumental music, James excelled as a vocalist and musician before continuing his education at Temple University majoring in jazz performance and music technology. James quickly grabbed attention and acclaim from artists both within and outside of his hometown of Philadelphia. Lady Alma, Kindred the Family Soul, Bilal, Jazmine Sullivan, Kelis, Ray Chew, The Jazzyfatnastees, Camp Lo, Talib Kweli, Kelly Clarkson and Gerald Veasley have all shared the experience of James keeping time behind them. In 2009, James teamed with one of house music's biggest producers, Kenny Dope to release his first commercially available project, an EP titled "Money for Love". This was the first time that he took the spotlights as a vocalist, and set the ground for his self-produced debut album "Conversations in Analog, Vol. 1". This album covered the genres he was most known for: jazz, R&B/soul and house. In addition to being the drummer/programmer on the album, he also showcases himself vocally on the album-ending track "Freedom". In 2017, James and his band, The Buttered Biscuits, released his follow-up EP, "Biscuit Street" which features a re-interpretation of the Tears for Fears classic "Everybody Wants to Rule the World", and Alyson Williams on a cover of the Emotions classic "Don't Ask My Neighbor". The project is the most personal of any he's worked on for any artist, as it includes "Give It A Chance", the song he wrote to propose to his wife. Currently, James is touring as the musical director for Vivian Green and featured drummer for the Screaming Headless Torsos. He continually finds inspirations in both legends like Buddy Miles, Phil Collins and Earth, Wind & Fire, as well as contemporaries and friends Lil' John Roberts and Ahmir '?uestlove' Thompson. For five years he served as the drummer, programmer and musical director for the Miss Lauryn Hill Band. Backed Mobb Deep's Prodigy (R.I.P.) during his residency at the legendary Blue Note Club in New York.